Are you looking for the best Alpha Industries bomber jacket review, here on this site we have searched for the most popular Alpha Industries jacket models on the market today. Base on your most important attributes that is of interest to you in your search for the best Alpha Industries bomber jackets, you can rest assure that you are getting the best recommendations in this review. When Alpha Industries was first established in October 1959, the American Department of Defence (DOD), gave them the contract to design jackets for members of the American service, which included iconic style likes the MA-1 flight jacket and the N-3B parka. The war in Vietnam resulted in a substantial boost in the number of DOD contracts received by Alpha which contributed to their rapid growth in the 1960s. They incorporated some of the lessons from their battle experience in the manufacturing process which also resulted in a lot of new technological innovations. With time, Alpha began to produce infantry jackets, and the legendary M-65 Field Coat worn in the Vietnam War is one of such jackets. Alpha industries have built a reputation across the world and are known for their military-inspired high-quality outwears. 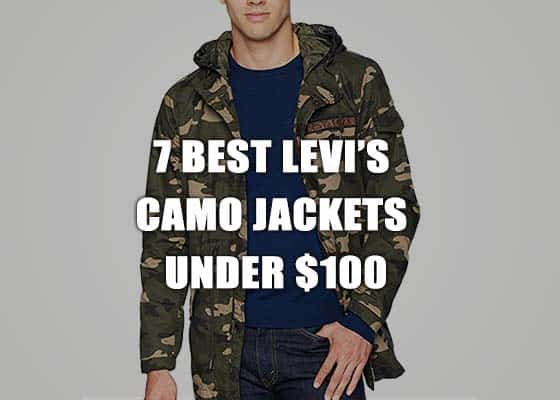 They still produce the classic military wears which is a big part of their heritage, but they’ve added a lot of modern innovations to their style and function. The M-65 Field Coat, the MA-1 flight jacket, the G-1 leather bomber and the Slim-Fit N-3B parka are some of their top sellers. However, whether it’s a coat, a jacket or bomber, the Alpha three-bar label offers superior quality products, which is part of what makes them so unique. The grinding principle which inspired Alpha Industries is that the U.S. army deserves to have superior quality protective clothing that will give them excellent protection in harsh climate conditions. This bomber has a reversible zip-front with signature utility pocket and snap hand pockets and its left sleeve also has a flight ribbon. It has a ribbed neck, waistband and cuffs. The fit of this jacket is different from that of the slim fit ma-1 jacket, (core v standard) and there are different variations to their sizes. You can choose between having a fitted look or you can decide to go for layers underneath the jacket. This Sage Green softshell fabric bomber ma-1 was first introduced in the mid-50s. The ma-1 and the b-15 flight jacket which came before it were in high demand then because pilots were affected by the jet age, which necessitated the need for new performance, comfort and safety requirements for pilots. The jacket ensured that the pilots remained warm in cold temperature. The ma-1 nylon mid-weight jacket was weather/water resistant. The first military jacket to be used by civilians was the ma-1 navy fighter pilot jacket. A typical nylon flight jacket from Alpha Industries comes with a knit collar, waistband, cuffs and a heavy gauge zipper made from brass with a storm flap to provide warmth. Featured red ribbon that says remove before flight that comes attached to left arm pocket zipper. Closure zipper say Alpha on it and behind the neck it as alpha industries branding stitched on. These ma-1 jackets can be reversed to bright orange, which is perfect for rescue missions and situations where visibility is vital. The manufacturers have managed to retain the original spec which was debuted in 1950. The jacket went through substantial revisions in 1963 when the jacket was made reversible and the lining was changed to bright yellow. The design of the flight jacket is meant to convey power, strength and quality. The original navy color requested for by the U.S. Military was more of a teal color, which is a little different from the traditional navy blue jackets. Checkout this Amazon page link for the MA-1 Flight Bomber Jacket. I highly recommend buying from Amazon store, because of their huge customer base they are able to keep their prices great. Don’t wait to checkout this great Jacket! This alpha industries ma-1 reversible bomber jacket dark green is also available in colors: black, Gunmetal, navy, maroon, Replica Blue and Steel Blue. From 663 customer reviews on Amazon, all reviewers gave this Alpha Industries Men’s MA-1 Flight Bomber Jacket 4.5 out of 5 stars. Fully reversible with emergency orange lining.Water and wind resistant comfort range temperatures from 25-40 degrees Fahrenheit,100 percent flight nylon shell. This classic soft-shell ma-1 fitted male bomber flight jacket has a slim fit across its sleeves and body. Like the others, this jacket has a nylon lining water-resistant shell, a flight nylon, and 100% polyester fill. In addition, the black version of this jacket comes with brass zips while all the other colors come with tonal metal zippers. And the interior of the white variation is white while all the others come with the regular emergency orange lining. The modern cut of this jacket which was inspired by the original ones used by the American Navy pilots and Air Force in the 1950s, offers a slim fit. The Replica White NASA jacket will awaken your patriotic tendencies with its American flag and 100th Space Shuttle Mission design patch on the right chest and the NASA patch on the left. This authentic flight bomber jacket for astronauts also comes with a pencil pocket or an Alpha signature utility, waistbands for warmth, cuffs, a knit collar, polyester lined nylon satin flight shell and is 100% water repellent. From 123 customer reviews on Amazon, all reviewers gave this NASA MA-1 Bomber Flight Jacket 4.7 out of 5 stars. This makes the NASA MA-1 bomber one of the best men’s flight jacket out there hands down. The MA-1 Navy fighter is a water-resistant nylon mid-weight pilot jacket with lots of versatility. This jacket was actually the first military jacket to be used by civilians. The nylon flight jackets produced by Alpha Industries come equipped with a knit collar, waistband, a knit collar, strong front zip and a storm flap to provide warmth. It has multiple snap-closure pockets including the utility/pencil pockets and its Remove Before Flight keychain. These jackets can be reversed to bright orange, which makes them perfect for rescue missions and low visibility areas. This current version has been kept as close as possible to the classic specifications (dating back to the early 1950’s) and also received several revisions during the 1960’s. This CWU 45/p jacket from Alpha Industries is perfect for users who want authenticity, durability and warmth. It has a water-repellent nylon shell that guarantees comfort and maximum dryness. This modern version of the classic MA-1 flight jacket from Alpha Industries will definitely give you that casual look. This jacket comes with a trans-nylon, nylon lined water-resistant shell. It also has a unique nylon-web oxygen tab that has a contrast stitching which is reminiscent of the first mil-spec MA-1 with tabs to help pilots clip on their masks. You can’t get a cooler outwear design than the lightweight l-2b NASA astronaut flight jacket courtesy of Alpha Industries! This particular NASA jacket has an American flag and the 100th Space shuttle mission design on it to awaken your patriotic tendencies. It also comes with a pencil pocket or alpha signature utility, a waistband for warmth, cuffs, a knit collar, polyester lined nylon satin flight and is 100% water repellent. This special L-2B flight jacket was introduced into the market early in the 1950s to be used in light temperature areas (50 to 86 degrees F). The bomber was originally meant for the American Air Force alone which is why it has the USAF insignia on its sleeve. The jacket went through different specification updates and some of them include; removal of snap tabs, oxygen tab and epaulets, including the USAF logo since the jacket was later adopted by the American Navy and other divisions of the armed forces. The CWU-36/P replaced the L-2B in the 1970s even though some members of the ground crew as well as USAF personnel didn’t stop wearing it until the 1990s. Alpha got the first DOD contract for the production of L-2B in 1960 and it didn’t end until 1994. Back in the 70s, Alpha produced the L-2B commercially but included the navy color and the epaulets. If you’re looking for that classic look that only a bomber jacket can give you, minus the extra bulge, then the l-2b is exactly what you need. This jacket is inspired by Alpha Industries classic l-2b which they designed for the military. This is a lightweight variation that features a nylon lined matte nylon shell that can be reversed to emergency orange (apart from the vintage white). It offers water resistance and breathability for the warm spring temperature. The B-15 is a tough and classic flight jacket designed to handle harsh elements. It comes with a detachable synthetic mouton faux fur collar and a nylon shell. This jacket also has the button tabs that pilots used to use to connect headset wires and oxygen tanks. This particular style is tightly fitted, so it will be advisable for you to order a size larger than your normal size. By the time the mid-70s rolled round the corner, Alpha had already built a reputation as a big military clothing manufacturer through word of mouth. All the extra pants and jackets produced by Alpha were sold to the general public via Army Navy stores. The clothes produced by Alpha were considered very valuable because they maintained the same military standard for their commercial clothing. At first, there was no serious difference between the garments produced for the military and those made for commercial purpose, so Alpha Industries decided to put three lines on the commercial clothing labels to help factory workers differentiate the clothes that were for the government from those for commercial purposes. Though it wasn’t planned, the 3 line label eventually became an obvious Alpha trademark that customers came to associate with performance, comfort and superior quality for military attires. With time, Alpha had the 3 line label trademarked and eventually integrated it into its famous logo.